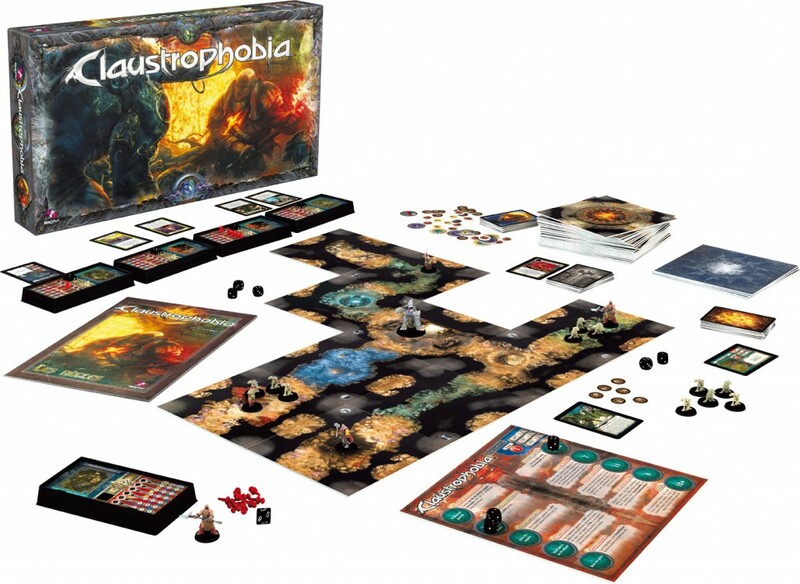 Claustrophobia is a game of survival tactics that gives you the opportunity to play as Humans or Demons in the New-Jerusalem underground, in Machiavellian scenarios. The game is a true â€˜â€™tool boxâ€™â€™. You will find all the necessary materials to enjoy several games in row without having the same pattern. You will be able to follow the scenario booklet, find some on the official blog or other supports, and even create your own adventure and propose them to all the community. Other products in the "Claustrophobia" series. I am not into D&D, nor do I really play Dungeon Crawlers at all. This game was my introduction to this style of scenario-driven game and I am very impressed. While the game only can accomodate two players, the mixture of character abilities, searching out new parts of the underground labyrinth, and trying to meet your specific objective combines to make a very interesting and satisfying game experience. Even if you've never tried this type of game before...... as a matter of fact, ESPECIALLY if you've never tried this type of game before, this one still is worth giving a look!